…And so this is Christmas. Another year over. As we take time this holiday season to reflect on all that has happened this past year, we are ever mindful and grateful for all those generous hearts who have donated their vehicles to make a difference for the 200+ charities we support. From the Calgary Floods to Chris Hadfield’s outer space experience, it has been a year that Canadians have shown their true colours in spades. Supportive, caring, extraordinary beings. We have experienced it first hand, as nationwide our generous donors have facilitated $1 million to charity through our donation program in 2013! 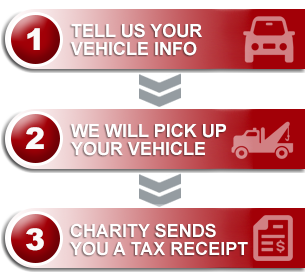 It doesn’t get more rewarding than to know good causes are benefiting from the recycling or sale of used vehicles! Way to go Canada, and Merry Christmas to you and yours!